As a dental office, we treat patients who are in need of emergency care, routine dental treatments, and preventative care. Regardless of why you come to our office, if you are experiencing discomfort, we will identify what the issue is, treat it, and discuss ways that you can prevent it from occurring again. Very often, this involves refuting common oral health care myths. Things like “milk is good for the teeth” has led parents to send their babies and children to bed with a bottle or cup of milk. Since there is a lot of sugar in milk, this leads to baby bottle tooth decay in countless toddlers. Common myths, while seemingly harmless, can significantly impact your oral health. For this reason, we have compiled a list of oral health myths and our responses to them. Myth – Diet soda is okay for the teeth. While we recommend drinking things low in sugar, diet soda has not solved the entire problem. Soda is full of acid, and when one places acid on his or her teeth, it can lead to erosion. A person only has a set amount of enamel, and once it erodes, it will not grow back. This makes it important to watch what a person exposes to his or her teeth, including diet soda. We recommend that people limit how much diet soda they drink and rinsing the mouth with water after. If one drinks a lot of soda, then he or she also needs to brush three times a day with a fluoride toothpaste to strengthen the teeth. People will also benefit from visiting our dental office for regular teeth cleanings. Myth – Men are the only ones who get oral cancer. The largest group of people who are diagnosed with oral cancer are men over the age of 50. For this reason, many people assume that oral cancer is a male-exclusive disease. In reality, both men and women can get oral cancer, and age is not a determining factor. In fact, one of the leading causes of oral cancer is the HPV virus. Regardless of a patient's age or overall health, we can conduct a simple oral cancer screening during a dental checkup that takes only two minutes to search for any abnormalities in the mouth. We can go over more information during the appointment. Myth – If you did not get cavities as a child, you will not get them as an adult. A child's oral health can indicate how healthy the teeth will be as an adult. However, it is up to the parent to keep the child brushing and flossing regularly, receiving ongoing dental care, and eating a healthy diet. Eventually, the child will be able to take care of his or her own teeth. However, the oral health and the condition of the mouth will change with age. Thus, people cannot take health for granted. Additionally, things like medications can increase the risk of developing cavities if it gives an individual dry mouth. Oral health, like all aspects of your health, is complicated, and it is best to receive your advice from an expert. 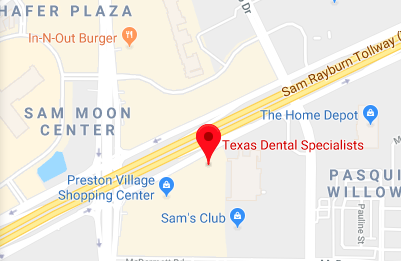 To have your questions answered, call us at (214) 619-6329 and schedule an examination with our dental office.